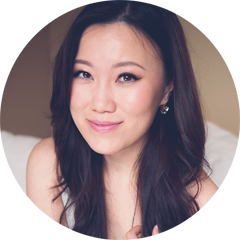 Modern, simple, treatment-targeted products is the updated way to look at your everyday skincare routine. As someone who writes about beauty products on the regular, I can try my best to recommend products for each skin type but the person who really understands your skin is well... you. 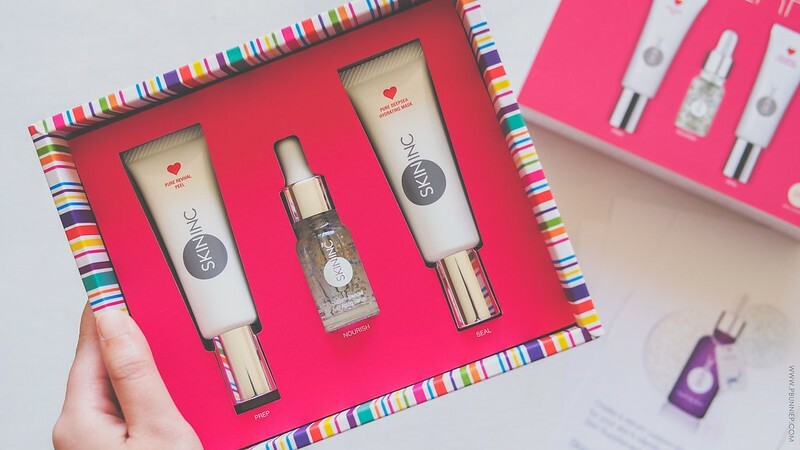 Skin Inc. is the first brand I've seen in the western mass market to bring completely customizable treatment products that you can mix and match for your own current skincare needs, without ever setting foot in a dermatologists office (there's a place and time for that!). If you're a frequent Sephora stalker, I mean shopper, then you must have noticed the brightly coloured vials lined up on the skincare shelf. 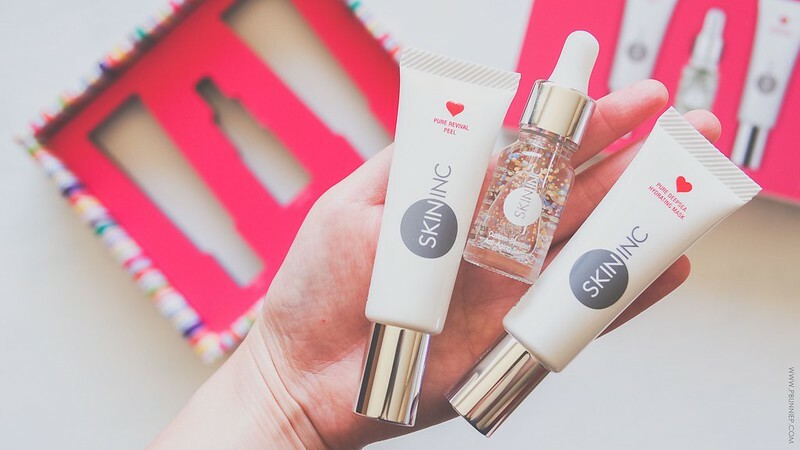 I've spent about two weeks with Skin Inc.'s 3-Step starter kit which includes their prepping Pure Revival Peel, Custom Blended Anti-aging Serum and the Pure Deepsea Hydrating Mask. Conceived in Singapore, made in Japan and available world wide, the sleek clean packaging reflects their brand aesthetic of providing simple, effective and easy to use products but there's more than what meets the eye here. A super gentle physical exfoliant might sound like an oxymoron but it can be done. 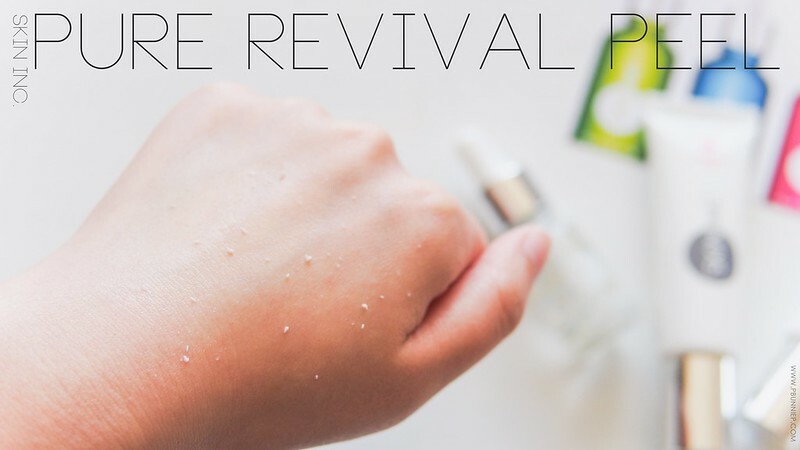 This Pure Revival Peel is a great example of a gommage product which applies as a clear gel over dry skin and once massaged, the thickener in the formula balls up into small granules which along with a gentle massaging motion, helps to slough off dry skin. There's no obvious scent of any kind, the reaction works easily so you're not rubbing forever and it provides a great daily buff when you need a quick refresher to start your day. As far as exfoliants for sensitive skins go, this is the best type I've encountered and in this case the Skin Inc. version also packs an aloe, arbutin and sea kelp combo. INGREDIENTS: Water, Glycerin, Acrylates/C10-30 Alkyl Acrylate Crosspolymer, Dicocodimonium Chloride, Steartrimonium Bromide, Aloe Barbadensis Leaf Extract, Arbutin, Fullerenes, Uncaria Tomentosa Extract, Maltodextrin, Butylene Glycol, PVP, Isopropyl Alcohol. 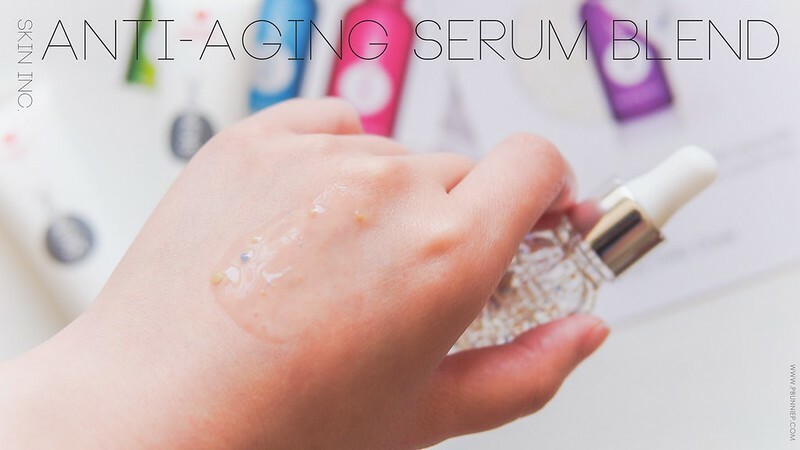 Housed in a tiny vial with a dropper dispenser, this serum contains encapsulated ingredients that burst upon application to the skin to deliver a trio of Coenzyme Q10, collagen and (my skincare holy grail) hyaluronic acid to plump, smooth and moisturize the skin. What's you're seeing in this kit is a 10ml bottle which is the full size of one of their treatments. Skin Inc. recommends users choose 3 treatments, each highlighted by a different key ingredient and blend them into a customized serum. In this case mine was pre-blended with Q10, collagen and hylauronic acid and packaged into a 10ml whereas you'd regularly have 30ml if you blended the full sizes individually. There are 9 treatments altogether: ceramide, collagen, hylauronic acid, chlorella, licorice, Q10, Vit. A, French pine bark and Vit. C.
With all the science out of the way, I must say that this is a really nice serum and along with the customizable ability it certainly falls within my top picks if you're all about straight to the point products. Although the sample size only allowed for a short testing period, I immediately noticed a plumping and smoothing effect on my skin after a few days of consecutive use. The watery texture will be a pleasure to use especially for oily skins and contrary to my initial fears about gel-like serums, this one did not pill what so ever and makes for an excellent layering product with your other skincare products. I wouldn't say this is a very effective hydrator if you have super desert dry skin this particular blend should be great for everyone else. The cherry on top? It does not seem to contain any silicones however do note that ubiquinone (a controversial ingredient in some countries) is midway in the list. INGREDIENTS: Water, Butylene Glycol, Glycerin, Pentylene Glycol, Sodium Hyaluronate, Hydrolyzed Hyaluronic Acid, Hydrolyzed Collagen, Soluble Collagen, Hydrolyzed Elastin, Ubiquinone, Sodium PCA, Serine, Glycine, Glutamic Acid, Alanine, Arginine, Lysine, Threonine, Proline, Sorbitol, Betaine, 1,2-Hexanediol, Algin, Carbomer, Alcaligenes Polysaccharides, Phytosteryl/Octyldodecyl Lauroyl Glutamate, Hydrolyzed Lecithin, Polyglyceryl-10 Laurate, Polysorbate 80, Titanium Dioxide CI Pigment Green 50, Iron Oxides, Potassium Hydroxide, Phenoxyethanol. Sealing everything together is the Pure Deepsea Hydrating Mask, a thin gel-like 30min to overnight treatment mask that's formulated to clarify, hydrate and brighten the skin. Highlighted ingredients here include deepsea water, soy bean extract and again hylauronic acid. The formulation is gentle and soothing on the skin while still being lightweight and very comfortable to sleep in overnight. Together with the serum my morning face looks clear and refreshed that I sometimes just skip washing with a cleanser in the morning because it looks great straight out of bed. Just a splash of water to remove the mask and pop on a fresh moisturizer. For my personal taste as a sleeping mask, it could have been a bit more hydrating/thicker but I can see the thinner formula as a welcoming change for those with normal to oilier skin or those who live in humid climates. INGREDIENTS: Water, Butylene Glycol, Glycerin, Pentylene Glycol, Algae Extract, Natto Gum, Sodium Hyaluronate, Acrylates/C10-30 Alkyl Acrylate Crosspolymer, Potassium Hydroxide, Phenoxyethanol, Tetrasodium EDTA. Reaching the end of these bottles, I am definitely impressed by the beautiful textures of these products, a detail that I'd normally attribute to my Asian skincare items so it certainly shows that Skin Inc. made a good point to have these produced in Japan. The non-fussy list of ingredients are a nice change from the heavily loaded and complicated string of who-knows-what that's in many modern day high end products. If you've been eyeing up this brand in your local Sephora, I'd recommend the Customized Serum to get you started as I think this is their most unique product. Personally, both the Revival Peel and the Hydrating Mask fell short of top tier in my own skincare regime as there are similar products I've used in the Asian market. 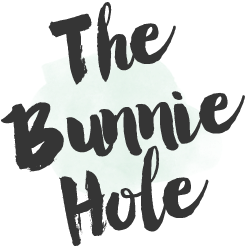 Altogether, Skin Inc. has set a great first impression for me and I'd especially recommend you look into them if you're on the oilier or sensitive side of skin types.